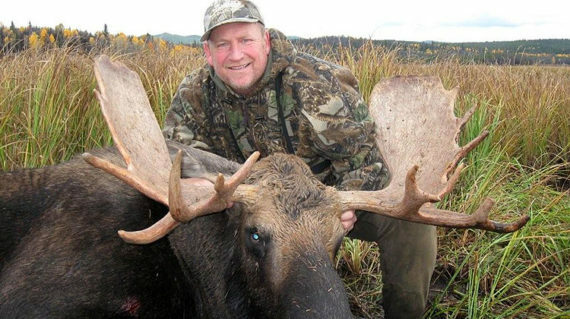 Fawnie Mountain Hunts conducts 10 day moose hunts beginning each fall on September 15. 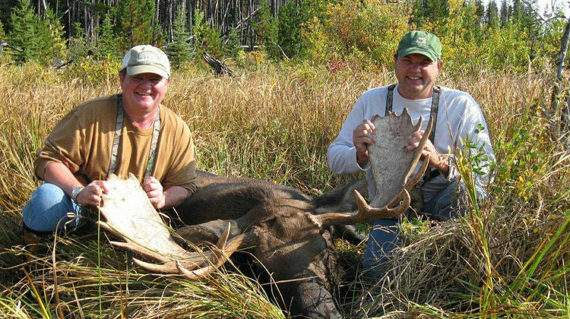 Hunts are conducted from the main Lodge on Laidman Lake or clients have the option of flying from the Lodge at Laidman to one of our out post cabins or camps. 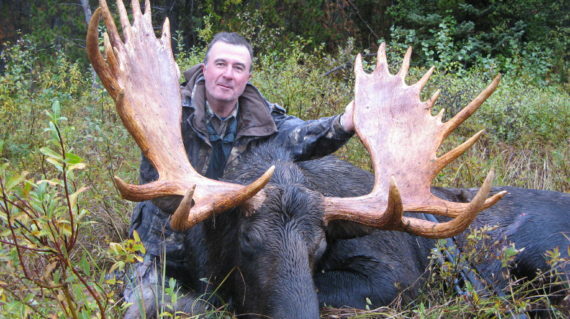 Fall moose hunts can be combined with a fall black bear and wolf hunt for an additional fee. Trout fishing can be done in the lakes at any time during the hunt. While the main fishing season is winding down, fishing remains good on the lakes; particularly when using small spinners or during calm conditions allowing for the use of flies. 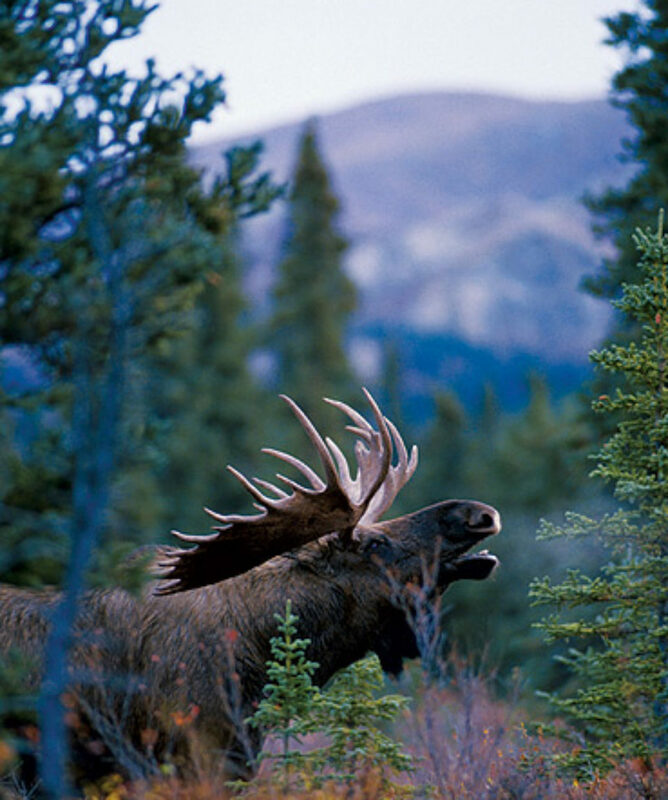 Our area is well known for its dense population of Canada Moose. Our main lodge at Laidman Lake is in the heart of prime moose country. Each fall we harvest good bulls from the shore of Laidman Lake. The area has many lakes, which provide easy floatplane access to our outpost camps. Moose like the habitat provided by the lakes and meadows that interconnect the lakes. Large forest fires in recent years have dramatically changed the landscape in our hunting territory. The fires have cleared the forest of thick underbrush and the resulting increase of moose feed has resulted in a high winter survival rate. In short, the fires have improved the moose habitat. Our guides report that with the underbrush gone, their moose calls travel much further…an unanticipated benefit to the hunter! Transportation during the hunt is by boat and hiking, depending on the physical limitations of the hunter. We are able to get close to many moose in the boats and calling is effective from both boats and while hiking. The extensive use of boats makes this hunt popular with hunters who do not want to hike long distances. We successfully guide hunters in all types of physical condition, and in ages ranging from 14 to 80 years. 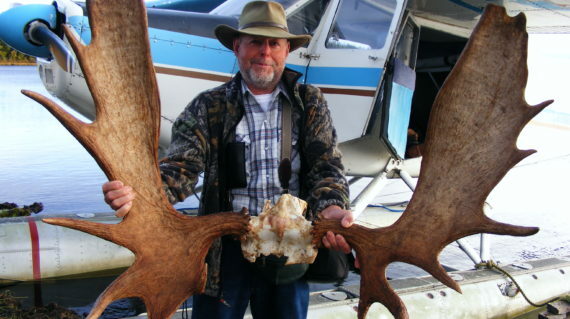 Antler sizes of mature bulls ranges from 40 to 55 inches wide. Antler characteristics vary from heavily palmed and relatively “compact” racks to tall and wide (but less palmed) racks. We have noticed some interesting and pronounced drop tines and eye guards on several moose over the years that indicated a rather unique genetic trait amongst some of the bulls harvested. Regardless of antler size, our bulls all tend to be good eating! Upon a successful hunt, meat and trophies are stored in a refrigerated unit at Laidman Lake before they are driven to Prince George for processing (we have a selected meat cutter and taxidermist in Prince George who handle all our needs). Clients can make arrangement for their meat and taxidermy needs directly with our selected providers. While there are slight differences in how the various hunts are conducted at Fawnie Mountain Hunts, there are enough similarities to provide you with an overview of how you hunt will play out. You will be picked up from your hotel in Prince George by our staff at 7:00 AM (or earlier if required). From there, you will be driven to the main Lodge at Laidman Lake. The trip to the lodge takes about 4 hours depending on the road conditions. Stops can be made if clients need to pick up any last minute items. Once at the Lodge, you will be given a cabin to settle into for the duration of your hunt, shown the facilities at the lodge, introduced to our staff, and served lunch. We will provide you with your hunting licences and take care of any outstanding paperwork at this time. You will meet your guide who will provide you with a detailed plan for your hunt. (For hunters going to a fly-out camp, your guide may already be out at the fly-camp when you arrive but you will be looked after by our staff). There will be an opportunity to sight in you rifles and/or bows in the afternoon. Our guides will be happy to assist you with this. The afternoon is yours to relax, sleep off any jet lag, organize your gear, and simply enjoy the services of the lodge in your wilderness surroundings. You and your guide will head out in the late afternoon for an evening hunt. Clients flying out to a camp the next day may choose to skip the evening hunt and use the time to repack their gear and prepare for the flight to camp the next morning. Supper will be served late in the evening when all the hunters return from the evening hunt. For hunters hunting from the main lodge, the next day will start early with your guide providing a light breakfast in the main lodge before you head out to hunt. For hunters flying to one of our camps, your day will start with breakfast being served at 7:00 AM with fly-outs starting promptly at 9:00 AM. Depending on the amount of flying that needs to be done, some clients may not be flown out to camp until 10:30 or so. Now the daily hunt routine will begin. Your guide will let you know what they have planned for each day. Once you have successfully harvested an animal, the meat, cape, and antlers will be put into cold storage at Laidman Lake for transport to Prince George. For hunters with additional species tags, your hunt will continue. 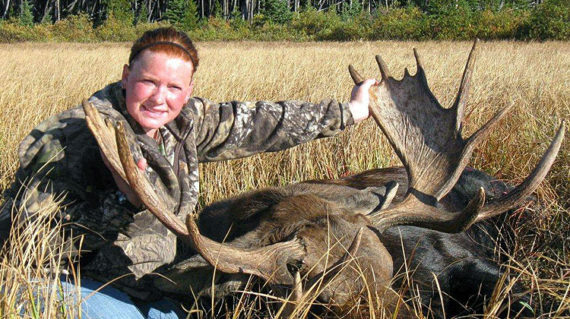 Your guide will provide you with a plan for hunting your next species. 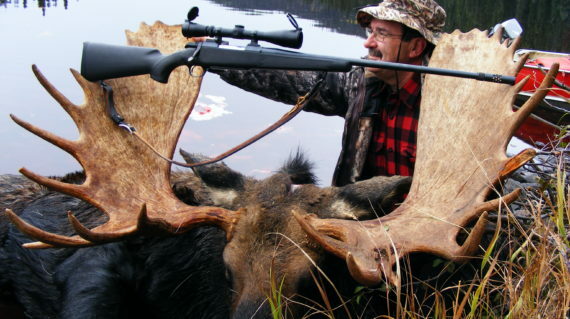 Hunters at fly-out camps may choose to return to the main Lodge at Laidman Lake upon a successful hunt or they may choose to remain in camp until the last day of hunting. For hunters who ”tag out” before the end of the hunt, arrangements can made should they decide to leave early. Otherwise, hunters are more than welcome to stay and relax, tell stories, fish, and take in the lifestyle of the Lodge. On the last day of the hunt, you will have an opportunity for a morning hunt. There is no evening hunt on the last day of hunting. Hunters at fly-out camps will get an opportunity for a short morning hunt but must be packed and ready to return to the main lodge immediately after the morning hunt. An early lunch will be served and any paperwork (harvest reports, final payments, etc.) will completed at this time. You will then be driven back to Prince George by our staff in the early afternoon. Depending on several factors, your meat and trophies will either be sent ahead for processing or it may travel with you to Prince George to be dropped off for processing. Every effort is made to have your meat cut at wrapped prior to your return to Prince George (trophies take significantly longer to process and are shipped at a later date). Should your meat/trophy travel with you on the day of your departure, our staff will be happy to drop the meat/trophy at our selected facilities on your way into Prince George. Here you can make arrangements for processing and shipping directly without meat cutters and taxidermist. Occasionally the meat/trophy is not ready for transport to the processing/taxidermy facilities on the day of a client’s departure. In that case, we will bring the meat/trophy to Prince George at our earliest convenience. Our staff will take you to the processing/taxidermy facilities upon your return to Prince George where you can make arrangements ahead of time for processing and directly with our meat cutters and taxidermist. Upon your return to Prince George, and after all meat and trophies have been delivered, our staff will drop you off at your hotel. Staff may remain in town for the evening and be available to assist you with any issues that may come up during your stay in Prince George. This list is provided to assist our clients when selecting gear for their upcoming hunt. The list is focused on the equipment needed for Moose Hunting but many of the items listed will also apply to a Spring Bear Hunt. For all our hunts you can expect overnight night temperatures to dip below freezing. Daytime temperatures often do not rise above 15c (60f). Quantities of a particular item are provided when it is important; otherwise, it’s up to the client to determine quantities. For clients flying to an outpost camp, it is important to keep the weight limited to 50 Lbs. You can leave extra gear (hard gun case, travel clothes, etc.) at your cabin at the main lodge during your time at the outpost camp in order help meet the 50 lb. limit. *This list does not include clothing and footwear you would travel in.